Honesty is a very expensive gift- Don't expect it from cheap people. Multi Rock Salt Company is one of the largest manufacturers and exporters of the Himalayan Salt Products including Salt Lamps, Salt Blocks, Salt Tiles, Bath Salts, Gourmet Himalayan Salts and much more. With in-house crafting, cleansing, and packing facility, we have complete control over quality and delivery. 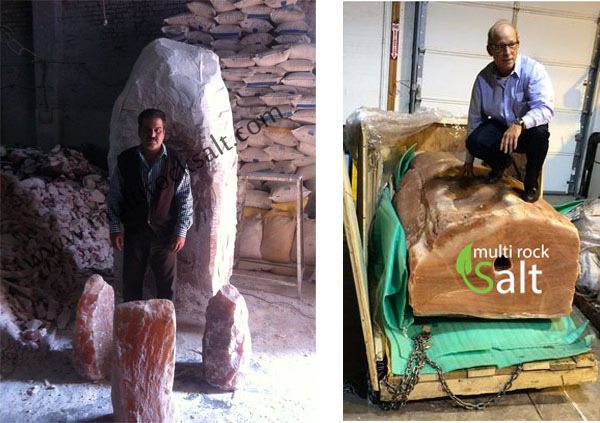 Our company has manufactured the worlds largest Himalayan Salt Lamp. With an amazing hieght of 100 inches (8 ft 4 inches) and a wieght of 3500 Kg.